Typically, small to medium sized bees visit harebell flowers. 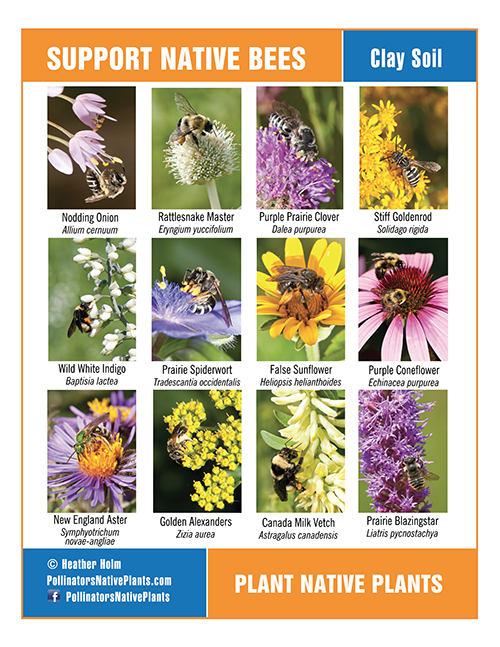 The five-parted, nodding flowers have a prominent, large, central style that may restrict access to large bees such as bumble bees. Bumble bees could reach the nectaries with their long tongues, but I have not seen one attempt this. Every visiting insect has a different approach and objective while visiting the flowers, some affect the rate of the flower development process and others get away with feeding on nectar without aiding in cross-pollination. Filament bases surround the nectar-producing disc at the bottom of the style. When harebell anthers release pollen, the tube formed by the filaments around the style traps pollen. As the style elongates, the pollen collecting hairs on the style push the pollen upwards, exposing the pollen to pollinators. The pollen collecting hairs are stimulated by visiting insects, more stimulation with pollen feeding, and less with nectar feeding. The more the hairs are stimulated, the shorter the duration of the male phase. Hairs retract causing the remaining pollen to fall out of the nodding flower. The female phase then begins with the separation of the stigma. 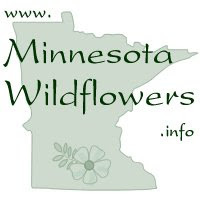 This process, accelerated by pollinators, ensures cross-pollination of the flowers. Leafcutter Bees ~ Megachile spp. 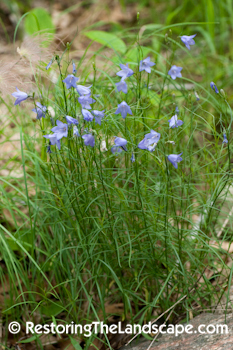 Leafcutter bees are frequent visitors of harebell feeding on nectar. Their pollen-collecting hairs (scopa) on the underside on their abdomens come into contact with the pollen held on the style. Digger Bees ~ Anthophora spp. Long tongues allow digger bees to reach the nectar at the base of the style and avoid contact with pollen on the style. The flower in this image has released all the pollen, the filaments are drying up and the stigma is preparing to separate to receive pollen. 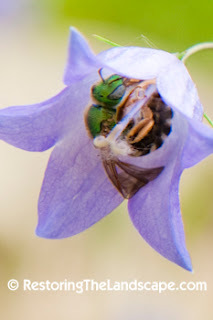 Green Sweat Bees ~ Agapostemon spp. 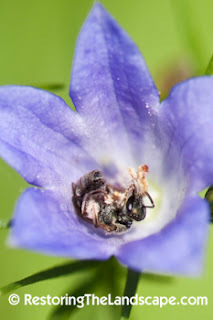 Green sweat bees visit harebell flowers for nectar. 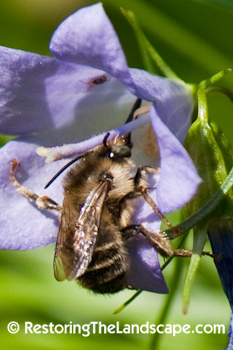 This bee is holding itself in the nodding flower by grasping onto the base of the style. The stigmas have separated and are ready to receive pollen transferred from visiting insects. 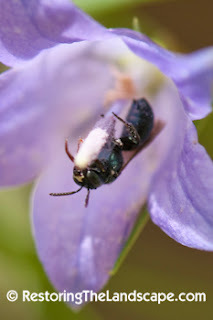 Small Carpenter Bees ~ Ceratina spp. 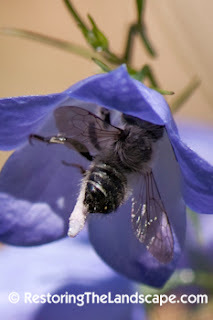 Small carpenter bees are some of the early visitors of harebell flower development. 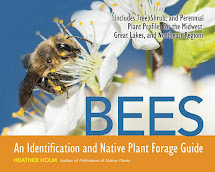 After the style elongates and the pollen collecting hairs are covered with pollen, small carpenter bees visit and feed on and collect pollen stuck stigma.